It feels like only yesterday that I was starting off my post with the words “Monday again”, but somehow that was a week ago. I hope you all had a fun and/or restful weekend! The weekend flew by, as it usually does, but as I’m sure you all know there was a devastating earthquake in Nepal that has sadly claimed the lives of over 2,000 people. So before I begin with the cheerful part of my post, I’ll just make a quick note. It is so sad to see the devastation. When natural disasters like this happen, many of us want to know what we can do and where we can donate money to help out. One thing I always look into is what organization would be best to donate to and is a verified/official organization in the cause. Nobody wants to donate money thinking they are helping out only to find out that the money isn’t going where it’s supposed to be going. If you click here, it’ll bring you to a CNN page with a list of approved organizations. If you’re interested in donating, you can browse through the list and see which one(s) you’d like to contribute to. One of the Americans killed was actually from a neighboring town to where I live and although I did not know her personally, I have quite a few friends that were friends with her. It is a reminder that even when tragedy strikes on the other side of the world, we can all be effected by it. 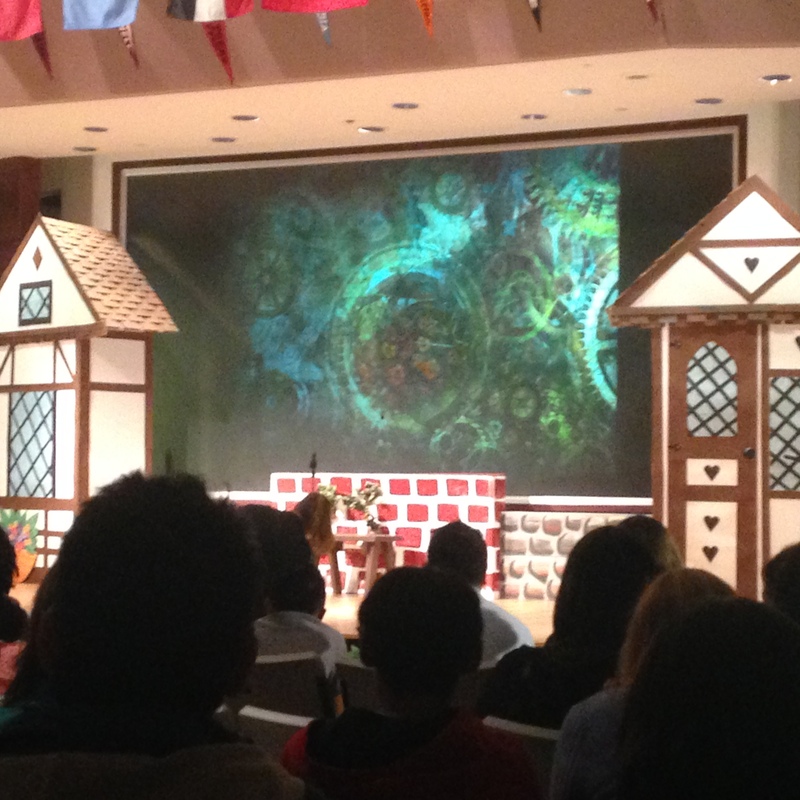 Onto a much lighter note — yesterday afternoon I went with two of my friends/co-workers to see the school musical. It is the first year our school has had a musical (we’ve been a school for 7 or 8 years only). It was fun to watch the kids perform and it was clear that they really put in a ton of work. To the play, I wore this mesh aztec print top with a sheer back and grey stretchy pants. The top is super light weight and comfortable. I really love how different the back is. 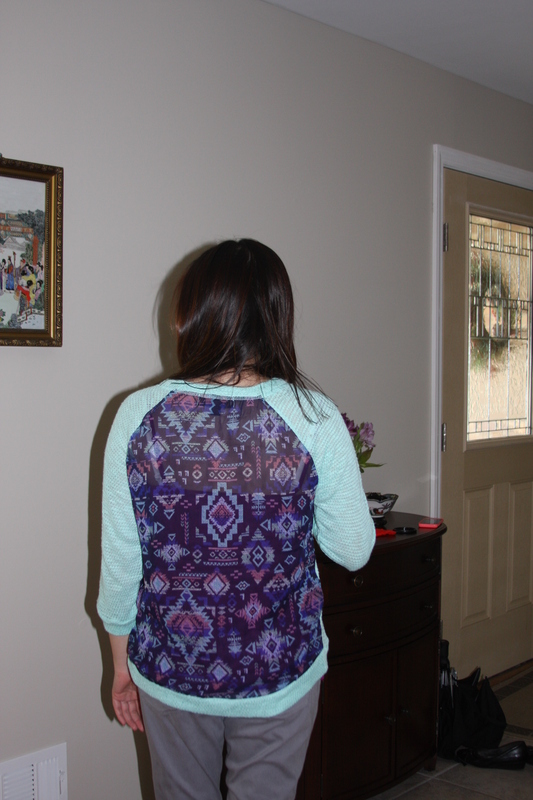 Just looking from the front, you probably wouldn’t expect a dark blue sheer back with pink and purple aztec print. It was a nice way to spend a Sunday afternoon and I always love supporting the arts. Hopefully this first day of the week isn’t too painful! Thanks, Karen! It was definitely a nice time!